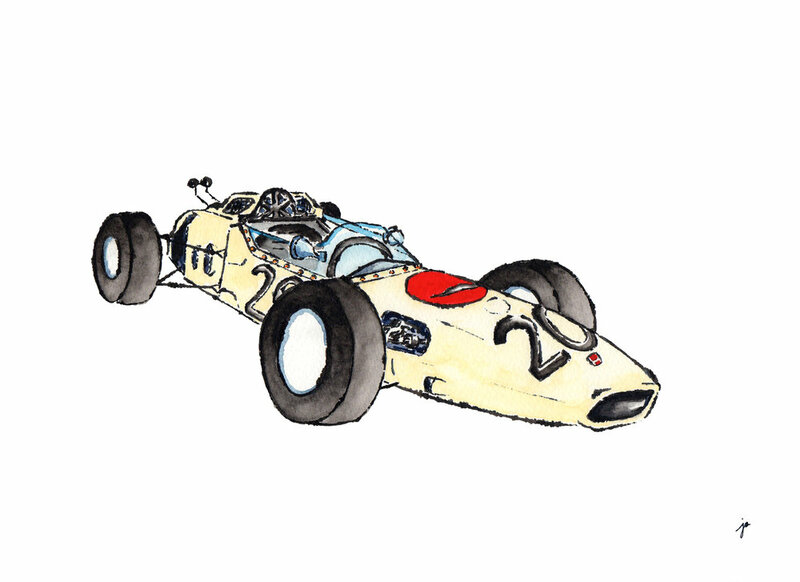 The 1965 Honda RA272, the first Formula One race car that won a Japanese carmarker its Grand Prix title. Saw the real thing last year at Tokyo Motor Show, and decided that I have to paint it (just like the 1935 Nissan Datsun rabbit motif)! What a beauty it was and still is!! It is one of the midokoro or "highlights" of and reason for otona kyutto.